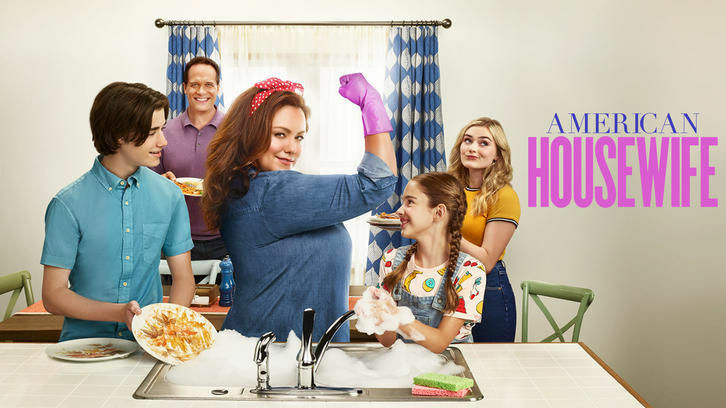 American Housewife - Highs and Lows - Review: "Adult! I Need an Adult!" The Otto kids are in the midst of teenage (or in Anna-Kat's case - preteen) social tribulations. And it's a wild ride. Taylor, fresh from her breakup with Trip, is being pursued by every boy in school, while Oliver's moping around mourning his breakup with Gina. And Katie's loving it! She's getting to live vicariously through the kids, getting to experience all the wild and crazy feelings of teenage love that she and Greg are missing. Kathryn's getting involved as well. When Taylor explains that the only other guy she's really interested in is Pierce (Uh-oh! ), Kathryn appoints herself Taylor's instructor in flaunting her best life on social media so she can catch Pierce's eye. She also takes on Oliver, trying to convince him that everyone gets over their first love and moves on and does fine. She tells him about the first boy she dumped. When Taylor looks him up on social media, Kathryn sees it looks like he really has done well for himself and is only living a few towns over. She decides to take the kids and go on a road trip to see him (just to really prove her point...yeah right). Katie consults Doris and Angela about wanting spontaneity and sparks back with her and Greg. Doris says she says something to completely blindside her husband every few weeks to keep things unexpected and spontaneous. Katie decides to take her advice, but instead of saying something to blindside Greg, she picks a fight over something ridiculous to get their emotions running high. This doesn't exactly work. Greg just ends up confused and profusely apologizing, despite not having done anything, and Katie ends up defeated and still bored. Anna-Kat, meanwhile, is going to have to branch out as well. Weirdo BFF Franklin's got the chickenpox and that means she'll have no one to hang out with at school while he's out. When she faces lunch by herself, she ends up eating alone on the stairs and overhears several other girls talking about how weird she is. On the road trip, Kathryn, Taylor, and Oliver arrive to a big surprise. Turns out, it's not Kathryn's first boyfriend who's done well for himself, it's his parents. 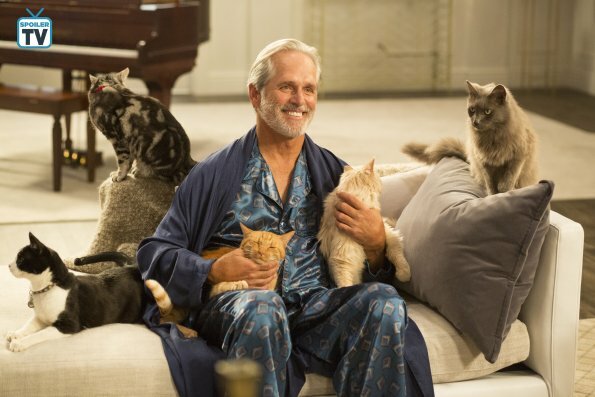 He's a crazy cat man who lives in their attic and spends his days scooping litterboxes! Kathryn's lesson about there being life after heartbreak isn't working out quite as planned, though she gets some heartbreak of her own when she realizes that he actually broke up with her all those years ago, thus breaking her never-been-dumped streak. At home, Katie and Greg try multiple times to recreate the unexpectedness of their young love but keep being interrupted. Just when it finally seems they're in the clear, Anna-Kat comes in broken-hearted about having no friends at school. She asks her parents if she really is weird. (And I hate to break it to you kid, you're hella weird!) Katie and Greg tell her being unique is what makes her special, but it doesn't seem to do any good toward making her feel better. Katie decides she's going to go down to the school the next day and give the little twits a piece of her mind, and Greg decides to tag along to make sure she doesn't come out in handcuffs. At school the next day, Katie's just about to rip some 8 year-olds a new one when Anna-Kat surprises her and Greg. She befriends another girl! Granted, it's the other school weirdo (She's currently sticking her carrots in the holes in the picnic table!). But, hey, progress! At this, Katie realizes that the best, unexpected parts of her relationship with Greg are still there. They just center around their kids now. -Luther standing in his bowl and the sink and everything else he could find was easily my favorite part of the episode. -Kathryn pushing Taylor into a bush and calling Oliver and Taylor her niece and nephew was hilarious. Her admitting that they are probably her closest friends was really sweet though. Where do you think things will go for Taylor and Oliver from here? Is Kathryn ever going to move out? Let me know what you think below!